300 dpi, JPEG file, 147x95 mm, written area 84x55 mm. 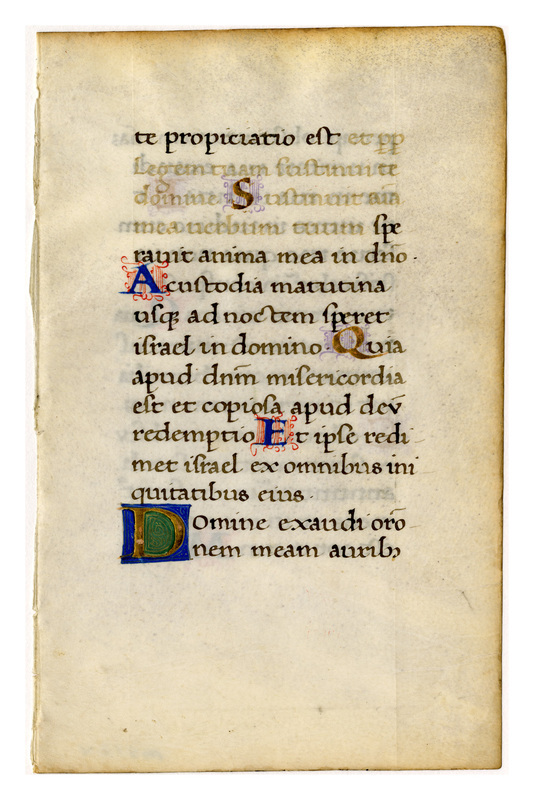 Single column, 15 lines, beginning "te propiciatio est." Loose. 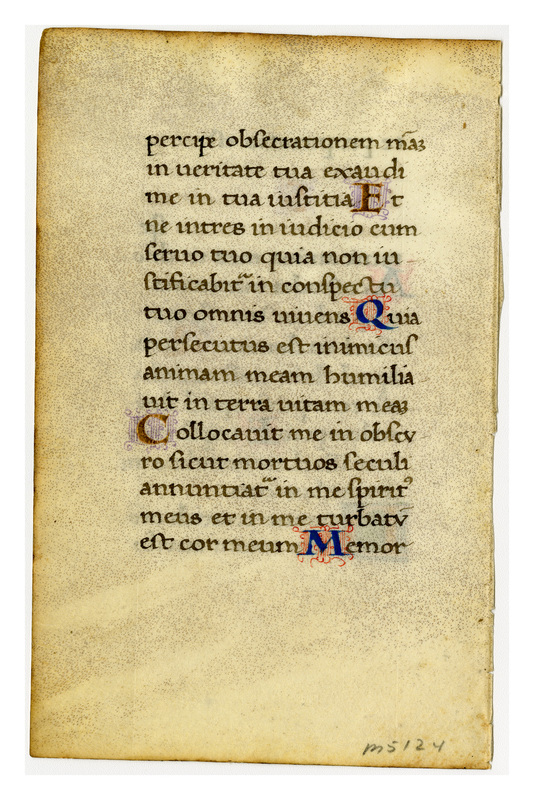 “E0104 Leaf from an Italian Book of Hours,” Digital Exhibits | Denison University Archives & Special Collections, accessed April 23, 2019, http://exhibits.denisonarchives.org/items/show/9.